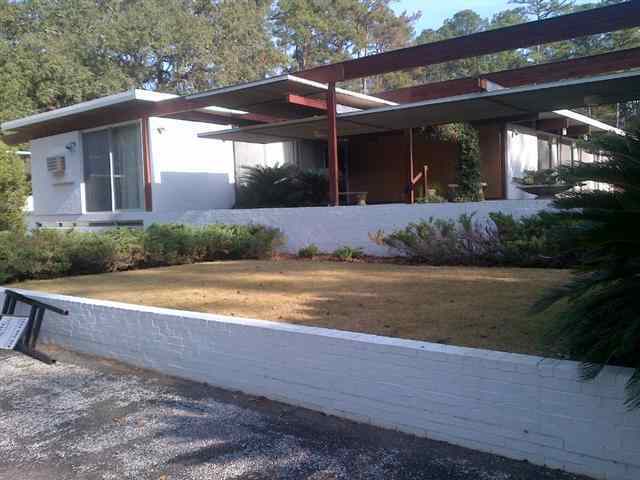 Rare truly contemporary home for sale in Tallahassee. This is the ONLY photo of the front of the house.. It could have been dramatic. But this looks uninspired. Notice the sign on thrown against the wall. The angle is ok but the depth does not pop. I would have Loved a chance to photograph this one!